2016 National Sports Collectors Convention in Atlantic City, NJ. Please visit corporate booth 632, for your opportunity to enter! conducted by the show manager. Baseball Card Roadshows is based out of Minneapolis, MN and is the largest vintage sports card buying tour in the country. The team at Roadshows travels over 300 days a year and pays cash, on the spot, for all sports card collections 1972 and older. First of all if you are looking to sell a vintage collection at the National, please visit corporate booth 632. For larger collections, contact Gary Leavitt in advance at 612-558-7580. 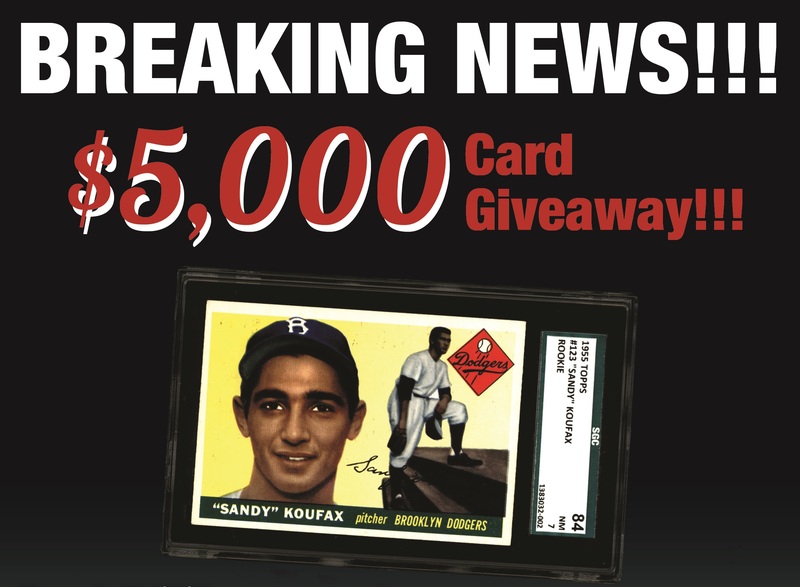 Baseball Card Roadshows will have entry forms available only at their corporate booth 632 for the Sandy Koufax rookiecard valued at $5,000. Therefore stop over and visit. *No purchase necessary & need not be present to win. Review the official rules.